The project aims at strengthening the integration of health and social care services in order to improve the quality of assistance for frail elderly. The project builds on the knowledge base of the Information System on Social Services for Non Self sufficiency (SINA), which has made available individual information on long-term care at Italian national level. The information elaborated using the SINA database, an analysis of European good practices and a portfolio of innovative projects on LTC developed by Italian Regions will be used by the interregional coordination group in charge of setting the framework of national Guidelines for social and health Integration at national level (GfI). A local coordination group to be activated in a District of Regione Liguria will discuss the applicability and pertinence of the GfI. 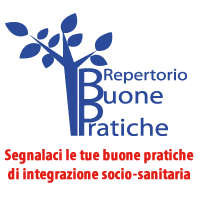 The results of the work of the inter-regional and local coordination groups will be the National Plan for Social and Health Integration, to be formally adopted by the Italian Ministero del Lavoro e delle Politiche Sociali. The Guidelines will be experimented at local level in a sample of Italian rural and scarcely populated social and health Districts with a low starting level of integration of social and health services, in order to assess their applicability to the local level and to analyze their potential effect on the improvement of the social and health integration among local services. The project will provide an overall assessment of the policy action implemented and the functionality of the GfI as an operational tool, clarifying whether and how the Guidelines helped the adoption of devices, which favor the social and health integration. The results of the experimentation will be discussed at European level, aimed at evaluating the transferability at European level of the Guidelines for social and health Integration, to be then promoted by a wide plan of mainstreaming activities. Aida in an article by "Il Sole 24 ore"